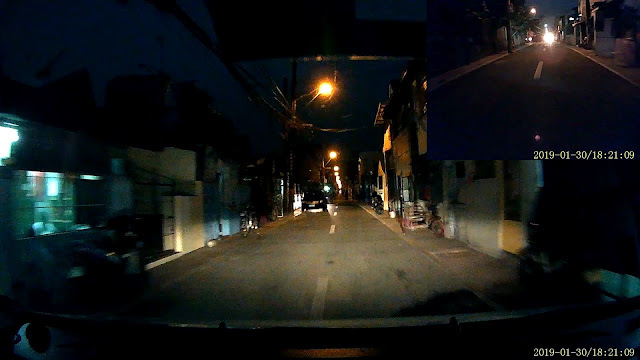 Home / reviews / Ekleva DC36 Dashcam Review - Extreme Night Vision! Ekleva DC36 Dashcam Review - Extreme Night Vision! 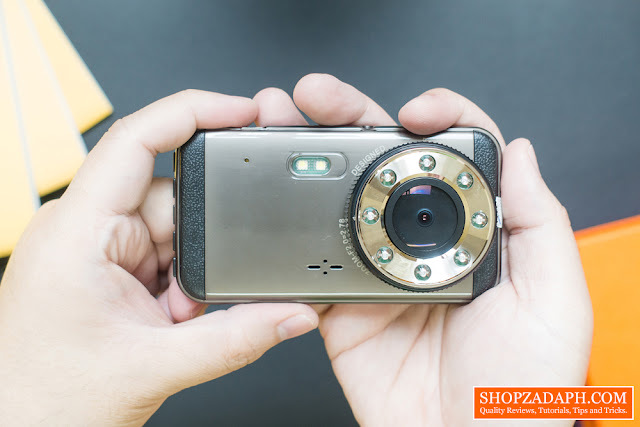 I am always fascinated with everything that has a camera and lens on it, may it be a DSLR, point and shoot camera, mirrorless camera, smartphones, and even dashcams that are becoming more and more better in terms of image quality they produce. A while ago, I reviewed the Transcend DrivePro 550 Dashcam and it is a very good dashcam. However, it also comes with a very hefty price tag of around Php. 9000 which is a very steep price to pay. 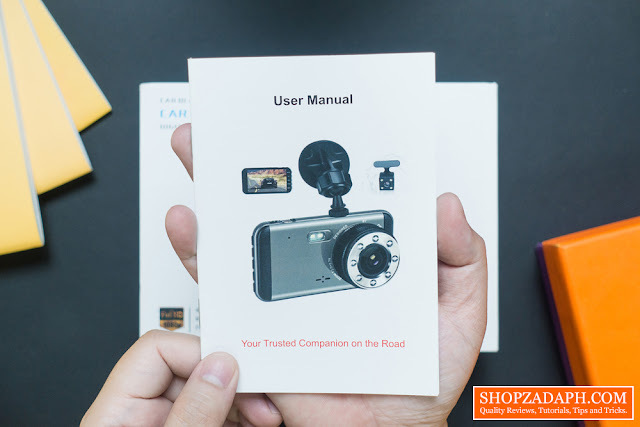 So when Ekleva reached out to me, I immediately checked their product page specifically their DC36 dashcam, and it got my attention because of the good reviews about it on Lazada. At the time of this writing, it has 96 ratings with 91 of them being a five star. It is only around Php 3000 so today, we are going to take a look at it and see if it's worth the Hype. 4” HD IPS Screen + FHD1080P High-Resolution Recording: 4-inch IPS high-definition display, 30FPS 1920*1080P video quality, clear playback of every detail, brings you a better visual experience. Super Night Vision: 8 infrared lights are equipped around the camera, along with WDR, the camera can get more clear video recording at night to protect you and ensure the safety. 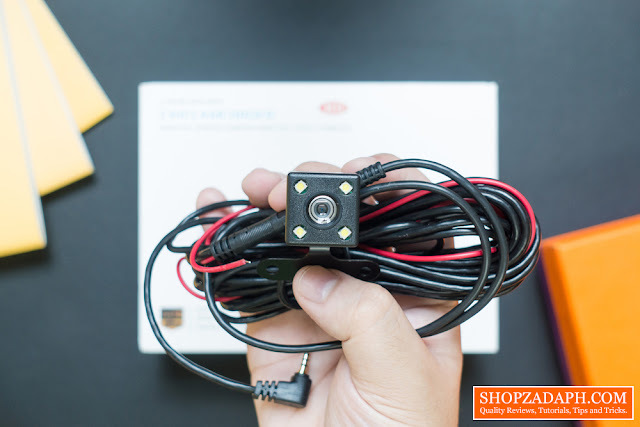 Wide-Angle Front and Rear Dual Lens: 170 degrees 25MM large aperture front lens made of 6 pieces of glass, the perfect presentation of 4 lane vision, 140 degrees rear camera can maximize the safety protection of you and your car. Powerful Functions: G-sensor gravity sensing, parking monitoring, loop recording, etc. 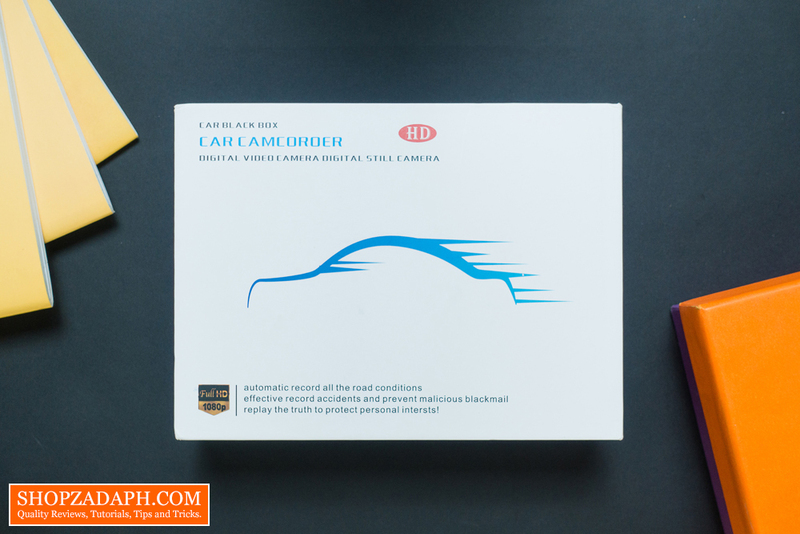 These functions provide you with a safer environment for driving your car and preserve evidence in an emergency. It would be an independent witness to avoid unnecessary disputes. Perfect Metal Design: advanced zinc alloy surface plating technology, its streamlined design matches with any model and highlights your noble temperament, it is unique, luxurious, and a fusion of design and practicality. It doesn't state anywhere on the box but the model name is Ekleva DC36. 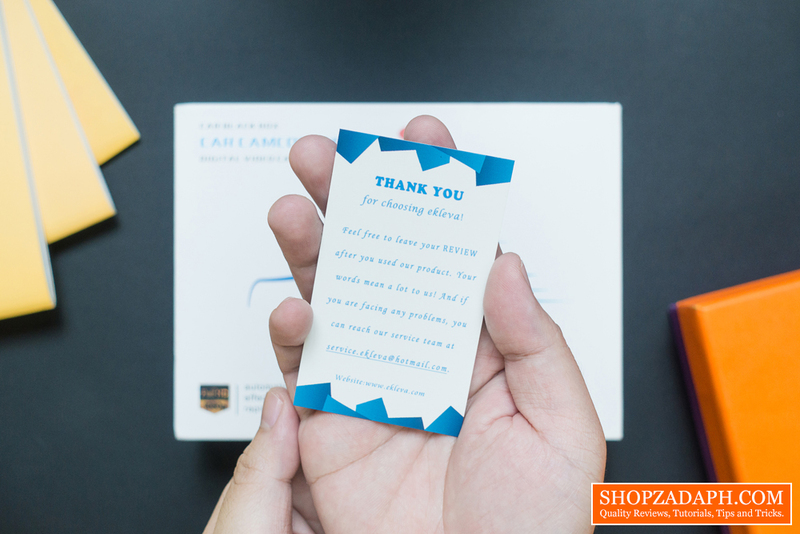 Inside the box, we have a thank you card from Ekleva with their email and web address. 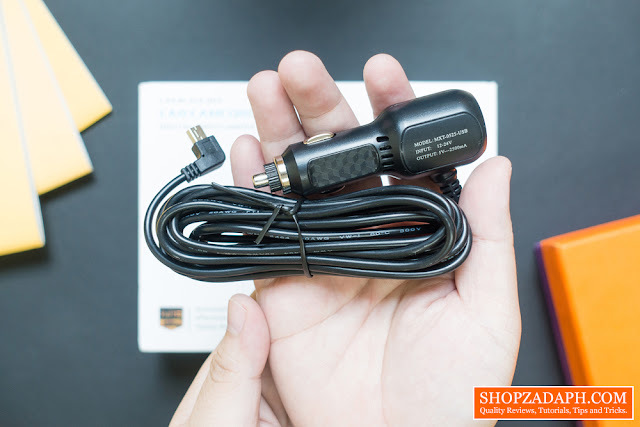 We also have the power adaptor which fortunately has a USB port so that you can charge your smartphone or other devices at the same time, the interface of this power adapter is mini USB. 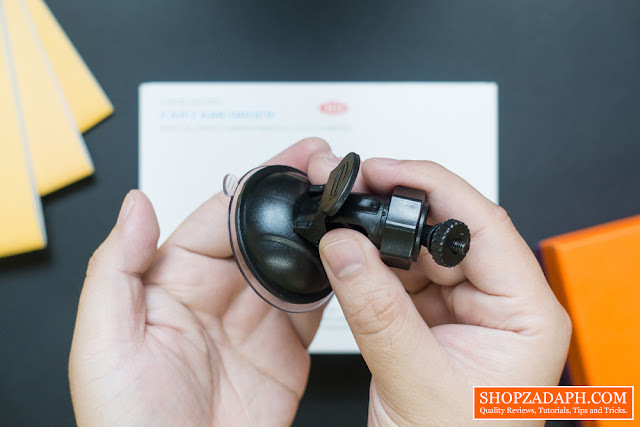 We also have here the suction mount for attaching the dashcam to your windshield. And the secondary camera unit that you can mount at the back of your car. We also have the user manual, It is only written in English but I appreciate the details especially the images, and it looks like the instructions are very easy to understand. 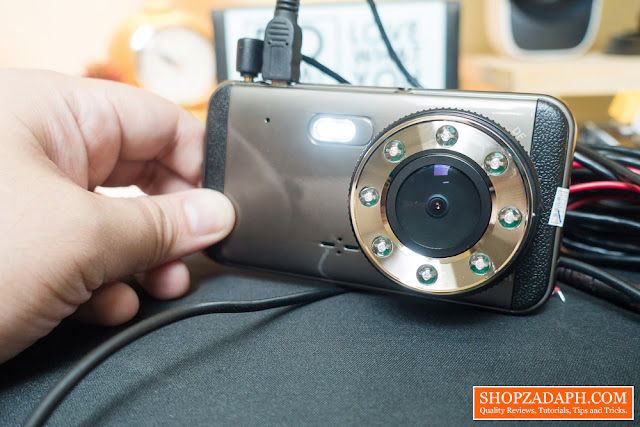 And lastly, we have the Ekleva DC36 Dashcam itself. It's quite heavy and feels premium in the hands and pretty solid all around, the build quality feels really good and it looks like it's constructed with metal housing on it. The design resembles a smartphone like feel with some textured lining on both sides. In front, we have a speaker hole, the reset pinhole, a dual LED for fill light, and of course, the massive lens which shoots up to 1080 resolution and has a field of view of 170 degrees. It also has 8 infrared night vision LEDs around it for better low light performance. 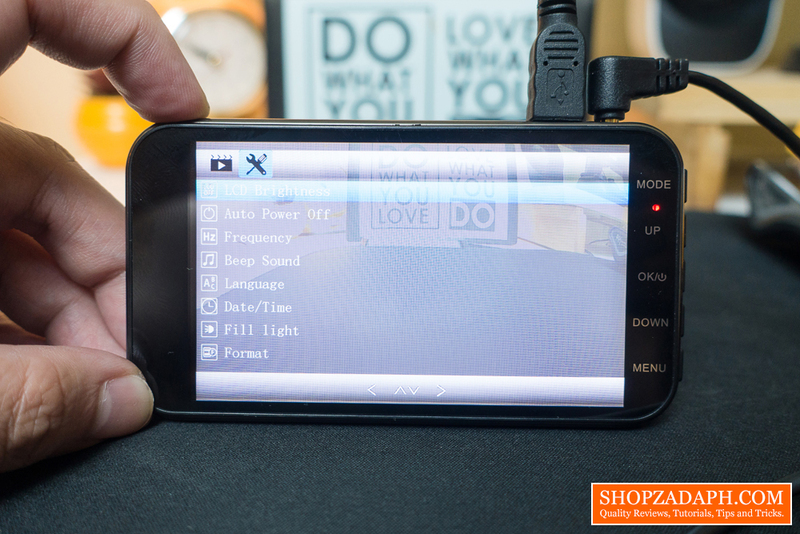 At the top side, we have the rear camera interface, the mini USB port, and the mounting interface. On the other side, we have the microSD card slot. And on its side, we have the navigation buttons which has a nice clicky and tactile response when being clicked. As you can see, the lens has a very large protrusion and has this focus ring looking grip, but it actually doesn't rotate or do anything. At the back, we have the 4.0 inches IPS display which is very nice for its price, it really does look like a smartphone isn't it? with thick bezels on each side and a very shiny glass display. On the right side, we have the navigation menus, mode, up, ok, down and menu. 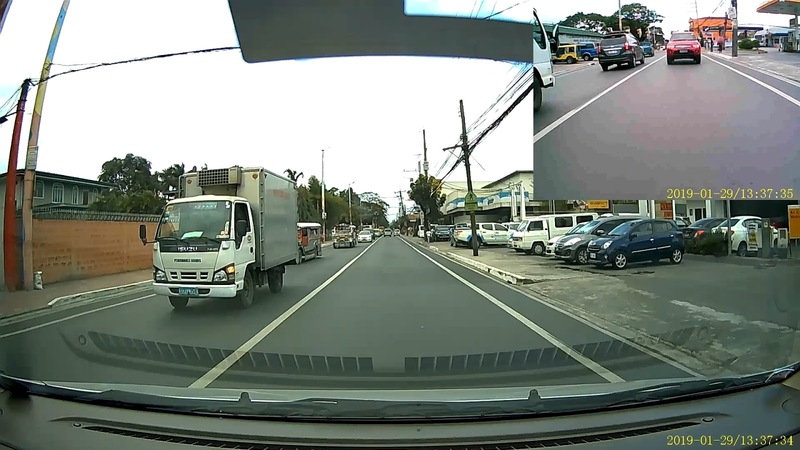 Overall, I really like the feel and design of this dashcam and quite unique compared to most dashcams out there that are made of cheap plastic. 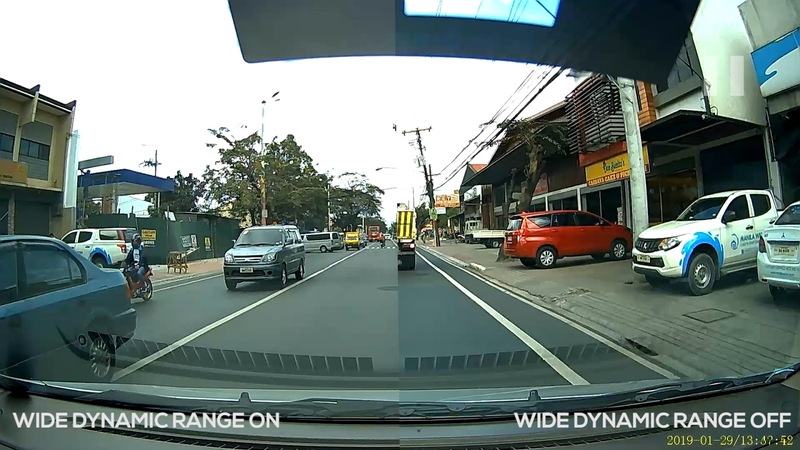 But, we all know that looks don't matter that much compared to performance, features and image quality when it comes to dashcams, so lets' move on. 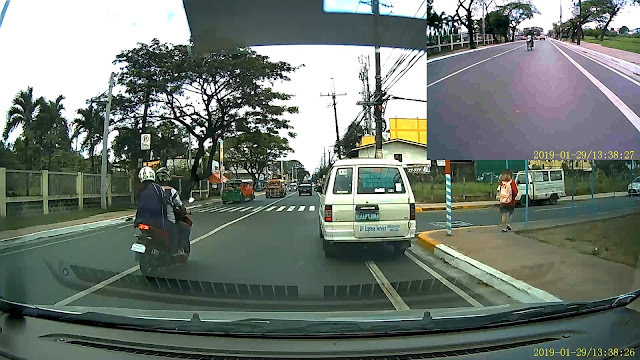 Now, let's dig in and discuss the settings and features of this dashcam. 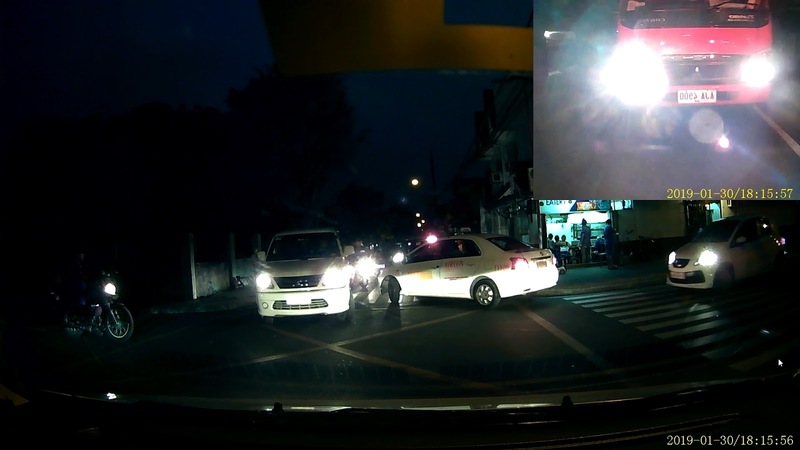 The first thing I did is I reset the dashcam to default settings and formatted the microSD card to make sure everything is in good condition. This dashcam has a built-in battery so that it can record footages even if the car engine is turned off, this will be used alongside the gsensor and parking guard modes which we'll discuss later. Press the mode button to switch between recording, photography and file viewer modes. Before you can access the features and settings menu, you have to stop the recording by pressing the "OK' button once. Resolution: You can choose between 1080, 720p and VGA. Make sure to set it to 1080p for maximum image quality. Dual Camera: Set this to on to use the secondary camera. Cyclic Record: This will record footages continuously and will delete the oldest clip once the memory card is full. You can choose the duration for each clip depending on your preference. Interval Record: This will record clips in between two-time intervals but I would recommend cyclic record over this. High Dynamic Range: This, in theory, should allow the camera to capture balanced exposure between highlights and shadows for better image quality. So it's better to turn this on. Exposure Compensation: You can also set exposure compensation if you think it's necessary depending on the image quality you are getting especially during night time or extreme sunlight. Motion Detection: This will detect any movement and will record a clip, but unfortunately, it will not lock the clip so it's kinda useless. Microphone: You can turn on and off the microphone recording if you want like if you need privacy, turn it off, but if you want to capture audio when something is happening, obviously you want to turn it on. 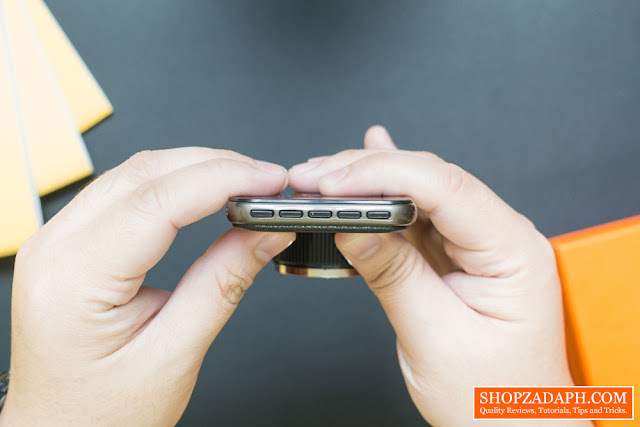 You can toggle it quickly by pressing the down button once while in recording mode. Date Stamp: This should also be enabled for future reference. 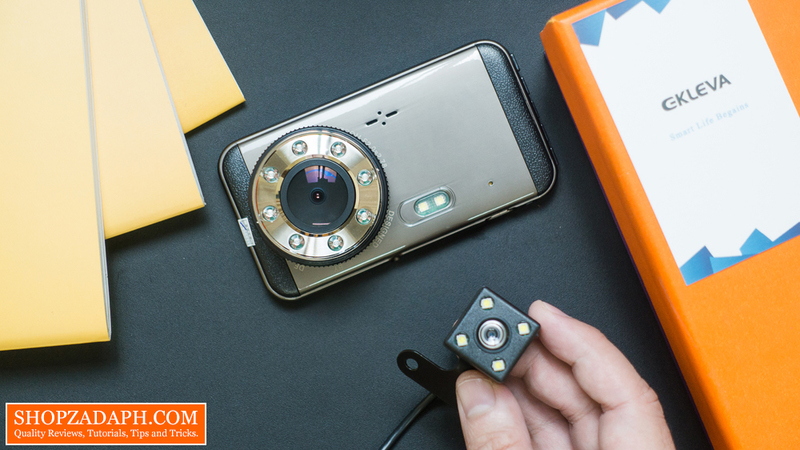 Gravity Sensing: Also known as gsensor is a very important feature, if this is enabled, when the camera senses any sudden change in movement, like a car crash, for example, it will automatically lock the current clip preventing it from being overwritten. You can set the sensitivity to low, medium or high depending on your preference. 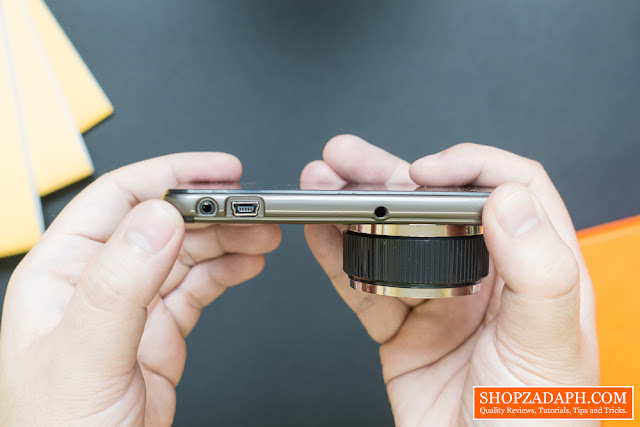 Remember, a locked clip will remain on the microSD card and if the card becomes full of locked clips, it will not be able to record any footage anymore. So just bear that in mind. Also, if you want to manually lock the current clip, just press the mode button once. This is useful for cases like if there's something happening in front of your camera that you want to preserve. Parking Guard: This is another security feature that automatically records a 20-second clip and locks it even if the camera or the car engine is turned off. This is a good feature but I don't recommend this to be turned on at all times as it is very sensitive. 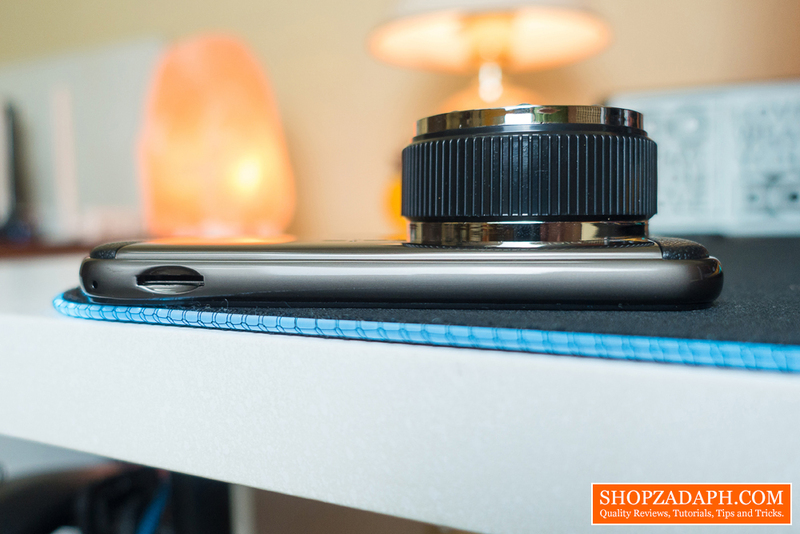 Even a slight bump or closing doors will trigger this and will easily make the storage full when always enabled. I recommend using this only when needed, for example, parking in a very unusual or dangerous location. Also, make it a point to delete locked clips from time to time to prevent any issue with storage. The sensitivity of this feature actually makes sense especially for protection against carnappers or people who like scratching or doing something ill on cars. It will go perfectly hand in hand with the built-in car siren alarm if you have that feature. The only downside is that it will only capture the front view of your car. You can easily toggle this setting by long pressing the down button until the "camera" icon shows up on the screen. Car Number: You can set your plate number to show up on the display if you want. And that's about it for the main features, press the menu button again to go to settings. Here it's pretty much self-explanatory, you can change LCD brightness, auto power off, frequency, beep sound for the buttons, language, date and time and enable fill light. The format will obviously allow you to format the card especially if it's near full with locked clips. And lastly, we have the reset to default settings option and the version information. 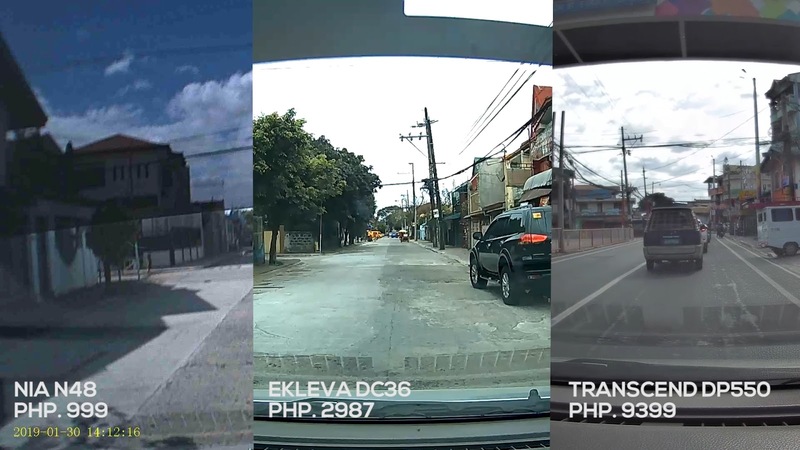 So that's pretty much it when it comes to the features and settings of the Ekleva DC36 Dashcam. The primary camera like I said earlier, shoots up to 1080 resolution and has a field of view of 170 degrees. It says on the specifications that it has a framerate of 30FPS but as per my testing, it is only 25FPS. 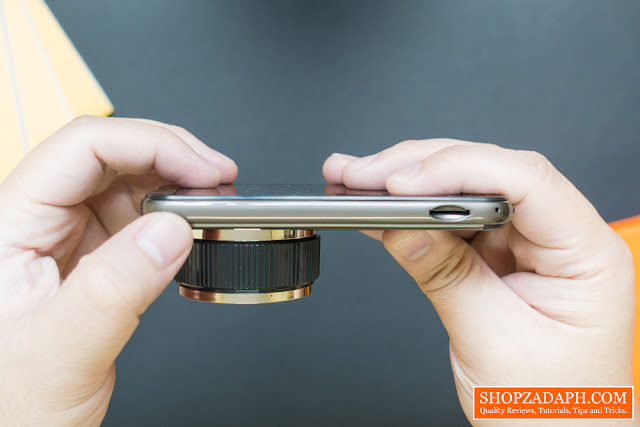 It has 25mm aperture and the lens itself is made of 6 pieces of glass. Unfortunately, I have no way of testing that unless I dismantle the lens itself. Now, let's take a closer look at the secondary camera. As per my testing, the resolution of this is 640 x 480 which is not that great, to be honest, but it's still nice to have. 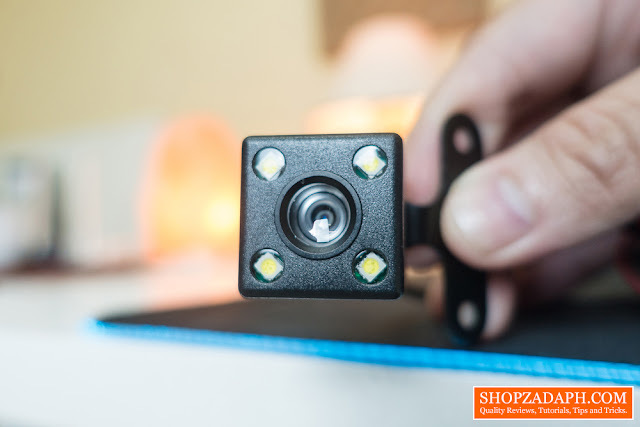 It has 4 LEDs that light up when you reverse your car and as per specifications, this is also waterproof which is a must since it will be located outside the car. The fill light settings is very important because this will enable the night vision mode and the dual-LED fill light in front. I would recommend this to be turned on during night time or at least set to auto mode. 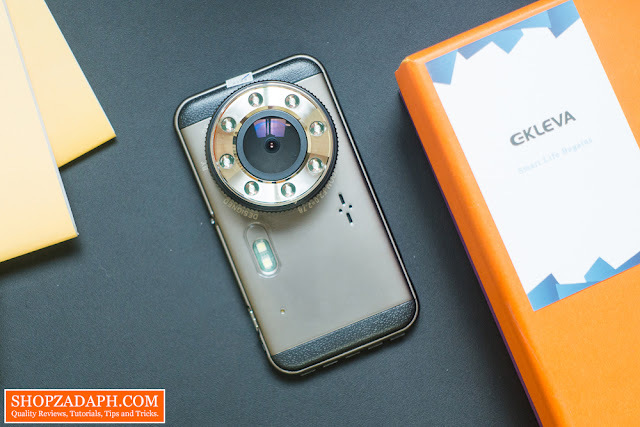 Note: You can also watch the video version of this review at the end of this article for a much better view of the camera quality. 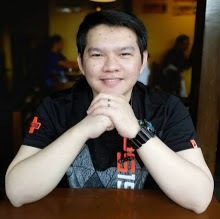 In terms of image quality, as you can see it is pretty good considering the price, mind you it's only around 3000 pesos so you have to set your expectations right. The overall image quality is ok, the sharpness and colors are decent enough and you can clearly read plate numbers at close distance. Unfortunately, the highlights are obviously blown out and I cannot see the effect of the wide dynamic range feature here, it should be able to balance the highlights and show some clouds here but It doesn't. The good thing is the most important details are very clear like the moving traffic, and plate numbers. Now here's some comparison when the wide dynamic range is on and off. To be honest, I don't see any difference in terms of the exposure, the highlights are still blown off as you can see here. 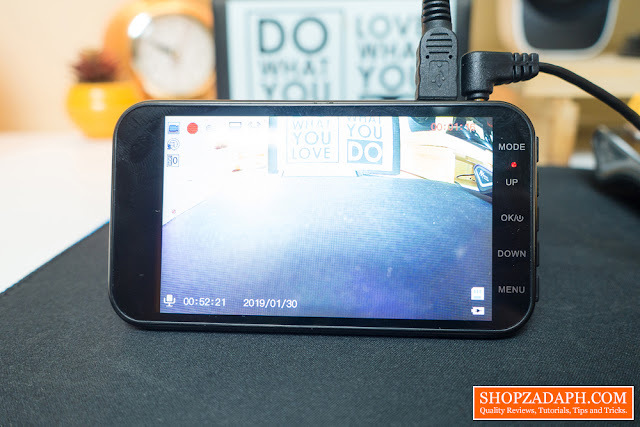 When it comes to night time performance, I was expecting so much with this camera, since it looks to have a better low-light capability than most budget dashcams out there with that massive lens and night vision LEDs. 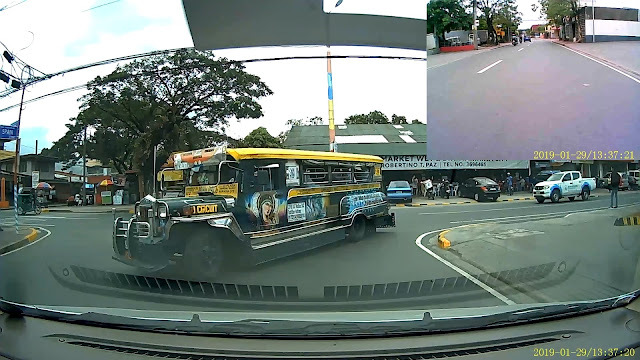 But as per my testing, It didn't stand out as much as I was hoping for, don't get me wrong, the image quality is decent and there's not much image noise compared to the one we were previously using, which is an NIA dashcam, I'll show you guys some comparisons later. 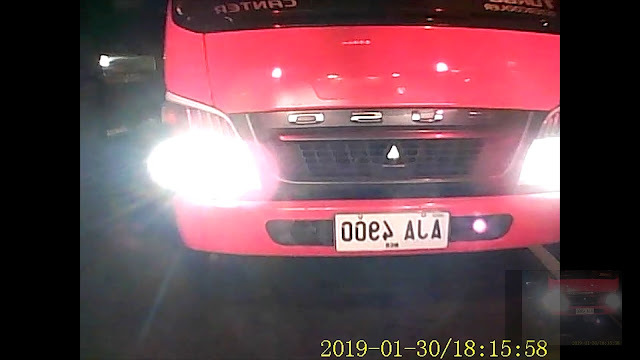 Looking at these footages, it's very hard to read plate numbers anymore especially with the blown highlights due to the bright headlights of the vehicles. But overall, it is still usable for other cases such as collisions, traffic issues, and whatnot. The image below is with the fill light disabled. And now the fill light is turned on, as you can see it doesn't seem to have any significant difference because obviously, those LEDs in front is not enough to help. 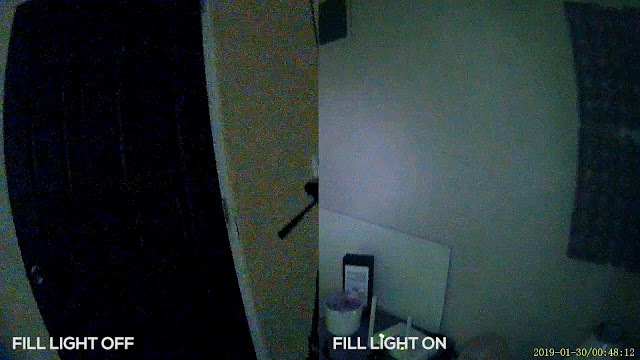 I think the fill light and night vision mode is made for when the vehicle is parked in a dark environment and will be used alongside the parking guard and the gsensor, so that the camera can capture images clearly even if there's no light available. 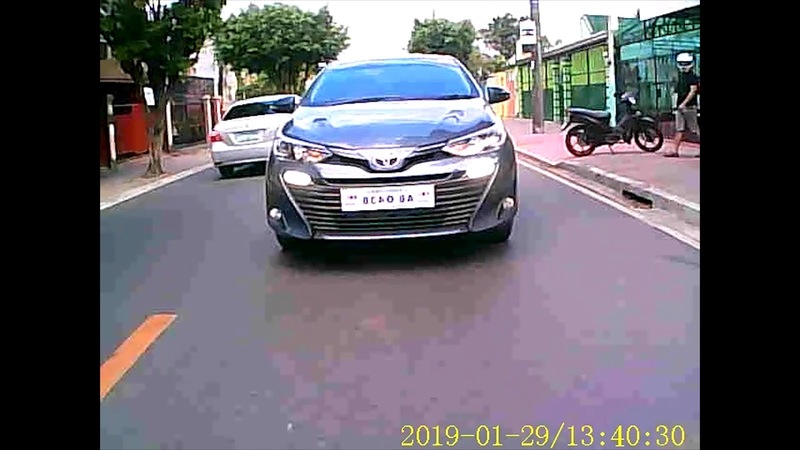 The rear camera is functional but the footage is not that usable in terms of being able to read plate numbers, not to mention that the camera view is mirrored. During night time it gets worse, but it can still help capture other details behind the car which is still always a nice option to have. 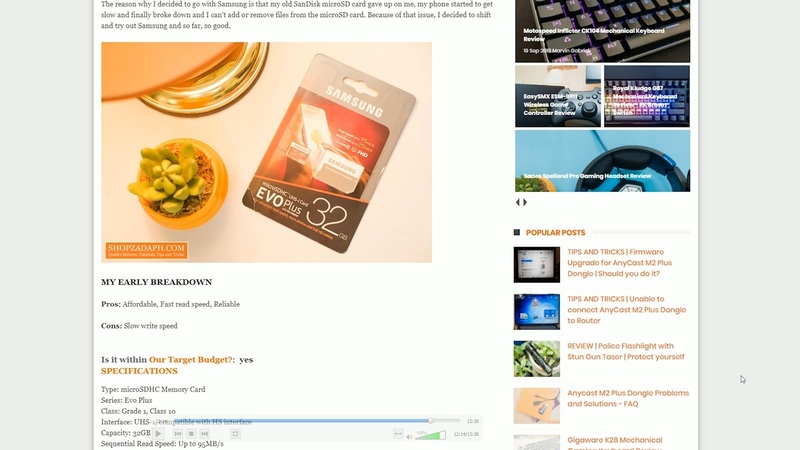 Lastly, before we wrap this up, you need a decent performing microSD card especially the ones capable of fast write speeds and at least class 10. For my testing, I used a 32gb class 10 Samsung Evo microSD card. In the manual, it was specifically mentioned to avoid the SanDisk ultra due to known unreliability. Here are some dashcam comparisons before we end this review, so you can have an idea about the difference in terms of image quality in various price points. 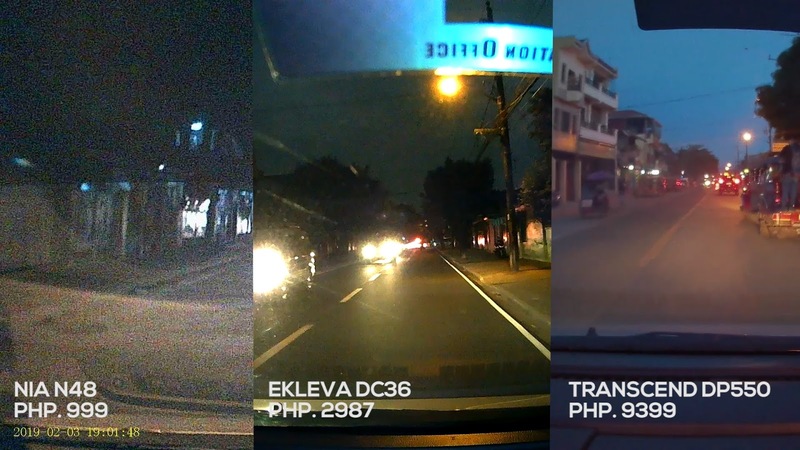 To conclude, the Ekleva DC36 dashcam is quite a darkhorse in this price range. 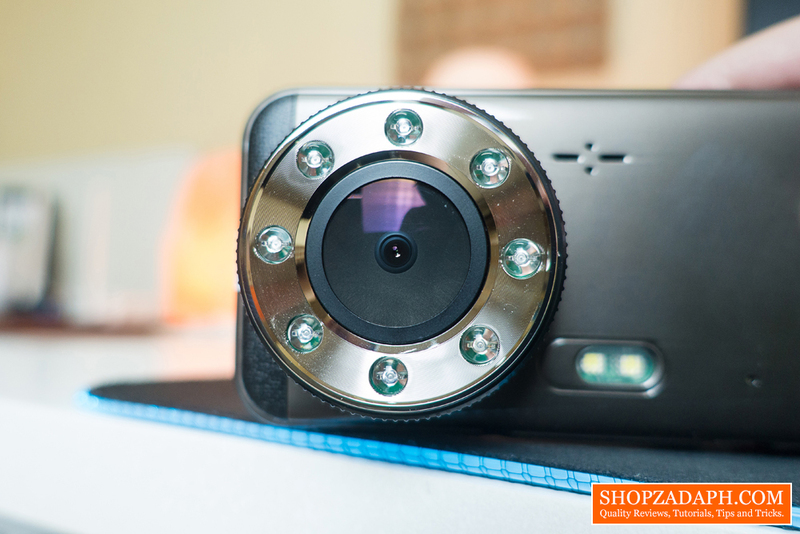 It has great build quality, functional features, and decent image quality. However, at this price range of around 3000 pesos, it certainly has a lot of competition. 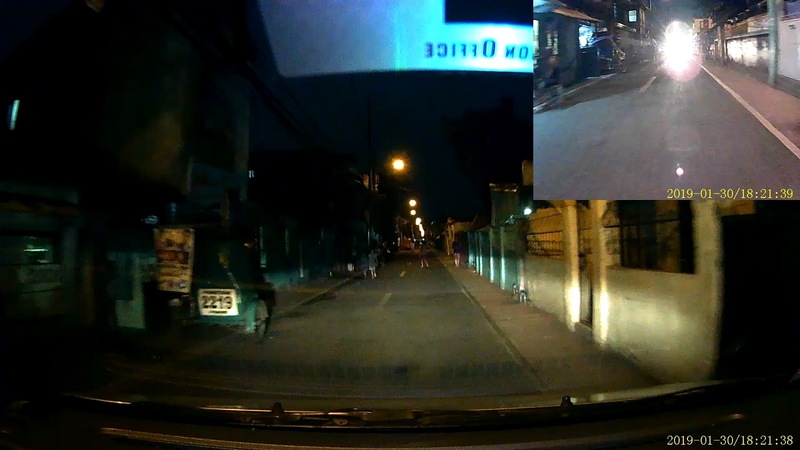 But if you value the extreme night vision capability of this dashcam, then this would be a decent option. 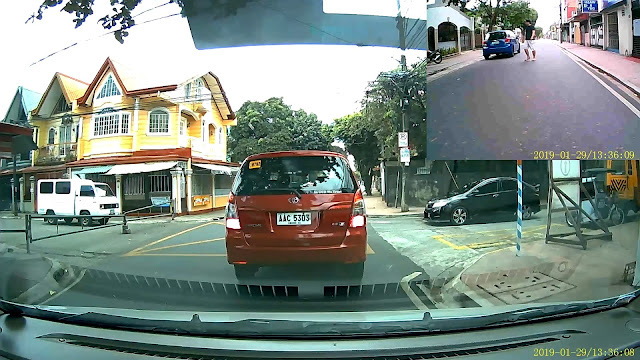 Transcend DrivePro 550 DashCam Review - Good for Grab Drivers! 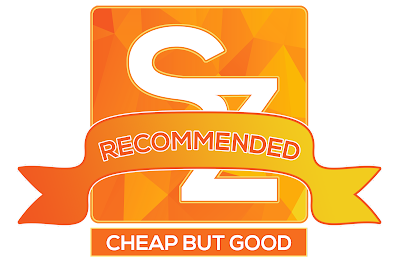 Thanks to Ekleva for making this review possible, you can get this from the link below.